Ms. Finnell serves as the Executive Director for Leaders in Energy. She founded the organization initially as the Leaders in Energy Research, Communications, Policy & Analysis (LERCPA) group on LinkedIn. As the group continued to grow and attract members in the US and globally, Ms. Finnell has been instrumental as an entrepreneur in transforming the group into an enterprise to build a specialized network of professionals to collaborate on energy, environmental, and sustainability topics to help catalyze sustainable solutions. Ms. Finnell has extensive experience in providing strategic planning, programmatic, and management consulting support via research, policy, technology, analysis, and communications and outreach expertise to organizations. These include the U.S. Department of Energy (DOE), U.S. Department of Agriculture, and the U.S. Agency for International Development in addition to state governments, non-governmental organizations, DOE national laboratories, and the electric utility industry. She has produced over 30 reports and articles delineating recommendations relating to energy in agriculture and the food system, energy in the building, transportation, and industry sectors, and sustainable development policy mechanisms. Her research has been published in professional journals and magazines including Elsevier Journal, Resource magazine (American Society of Agricultural and Biological Engineers), Choices (American Society of Agricultural Economics), and the Cogeneration Journal (American Society of Agricultural Engineers). 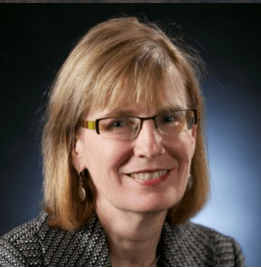 As a Managing Consultant at IBM, Global Business Services, Ms. Finnell served as a researcher, team leader and/or member of multi-faceted projects. She led a team to examine DOE’s Office of Nuclear Energy pioneering role in supporting the National Aeronautics and Space Administration in providing atomic batteries to power spacecraft conducting scientific missions in deep space (e.g., the Curiosity Mars Rover). Other accomplishments included evaluating 22 projects as a Green Star Judge to recognize employees who developed innovative green supply chain; and, advancing Smarter Planet and green building tools in federal markets. Ms. Finnell also worked for the Wyoming Governor’s Office for Energy Conservation; the U.S. Agency for International Development as a Foreign Service Officer with assignments overseas; the Institute for Energy Analysis at Oak Ridge Associated Universities; DynCorp International/Meridian; and Technology & Management services. Ms. Finnell has been recognized for both her professional and voluntary efforts in the energy and environmental sectors including an IBM Global Services Excellence in Service Award for service rendered to DOE. She was been designated as a Local Conservation Hero, awarded by Virginia Conservation Network, for her leadership role and work performed in establishing Arlington County as a Community Wildlife Habitat. She has also received numerous awards from Toastmasters International in communications and leadership including “Area Governor of the Year.” Ms. Finnell currently serves on the Board of the Association of Energy Engineers and its Council on Women for Energy and Environmental Leadership both at the national and local level, she is a member of the National Capital Area Chapter of the U.S. Association of Energy Economics, Arlingtonians for a Clean Environment, and the Women’s Council on Energy and the Environment.